Russian. Eagle. Church. Clock. 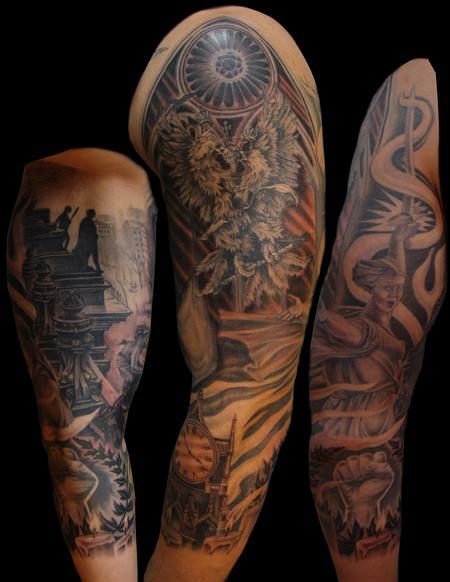 Full Sleeve. Black and Grey.